So why buy a Sonic electric toothbrush you might well ask? 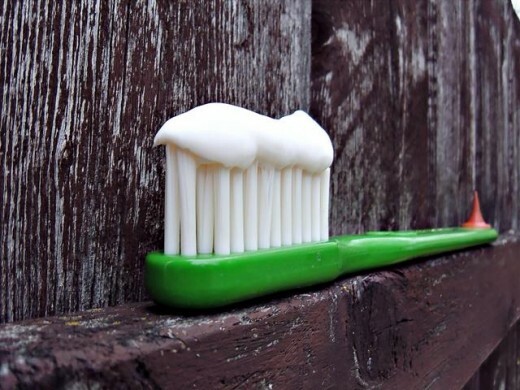 Like many people I started off my life cleaning my teeth in the good old fashioned way with a manual toothbrush and thought it was doing a perfectly good job as my mouth always felt clean and fresh afterwards. What I hadn't realised was just how much plaque these early toothbrushes left behind, and as a child using one I probably wasn't doing the most thorough job of cleaning my teeth to a standard my dentist would have approved of. 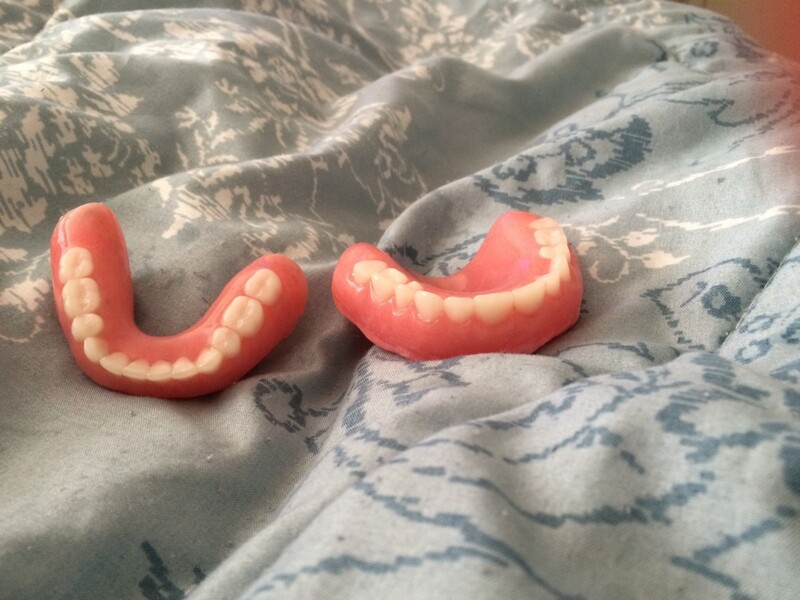 I was lucky that I had, (and still have), very strong teeth, and in spite of enjoying three sugars in my tea, and growing up with a great love of cakes and sweets, at the current age of 40 I only have three small fillings to my name. When I reached the age of 18 I started smoking, and by the age of about 22 I also had a taste for red wine. As you might imagine this ultimately started to produce the most horrible staining on my teeth, and although it started off mainly on the inside surfaces of the teeth where it was hard to clean easily, the staining gradually worked its way round to the front surfaces of my teeth right next to the gumline. 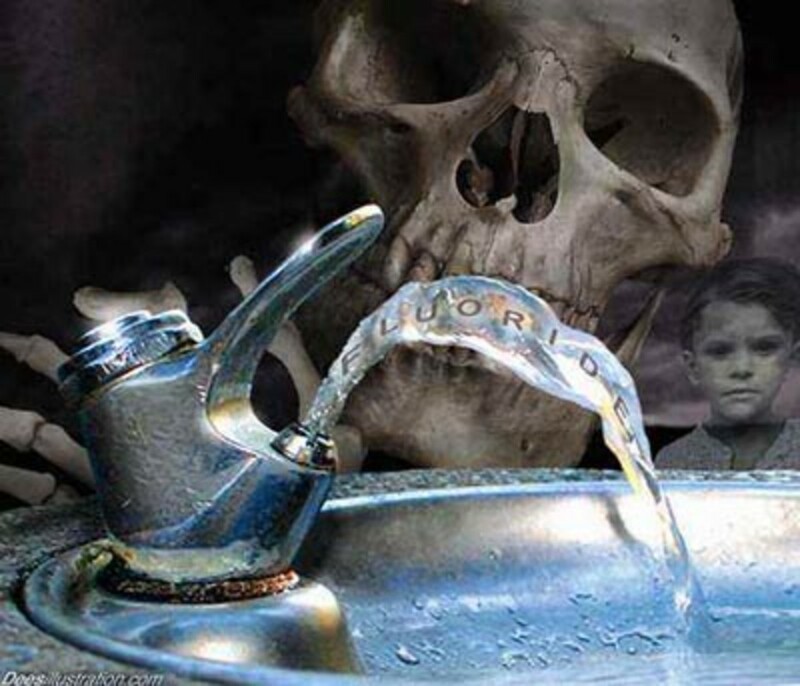 The only way I was able to get rid of this was by going to the dentist for proper descales, but due to a distinct lack of finances I struggled to afford to go as often as I should, and therefore found myself only visiting my dentist every five years or so. This cycle went on for a number of years, in fact until about five years ago, when I met my current Husband Richard. 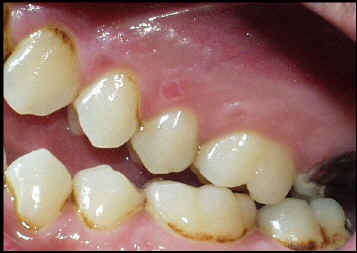 By now I was pretty fed up of going to the Dentist to have all the brown stained plaque descaled from my teeth, only to find three months later it was starting to return no matter how often I brushed my teeth. The situation improved when Richard decided to buy me an Oral B electric toothbrush for a Christmas present. I immediately noticed my teeth felt a huge amount cleaner after using it, and the fact that for the first couple of weeks of using it my gums actually bled, (a good sign) meant I knew it was doing a far more efficient job of really getting the plaque away from my gumline. The next time I had my teeth descaled at the dental hygienists she actually complimented me on doing a generally good job of cleaning my teeth. I continued to use my Oral B electric toothbrush up until about a week ago. Throughout the time using it the staining didn't return, and although I quit smoking a year ago, I still enjoyed the red wine, yet suffered no bad effects on my teeth as a result. It was about a month ago I was chatting to some friends of mine about how fantastic electric toothbrushes were, when they told how much better still the Sonic and Sonicare toothbrushes were. As my friends described it, "You feel as if you have just been to the dentist for a descale". My curiosity was raised, and so when my Mum and Step Dad gave me some money to buy myself this year's Christmas present I decided to look into what was so great about these Sonic / Sonicare toothbrushes. I have to confess to being very impressed by what I found out, enough to buy one in fact! 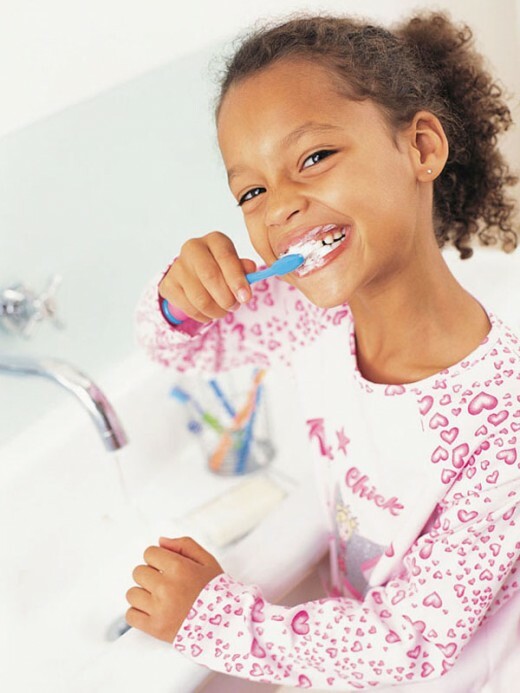 Brushing your teeth by hand with a normal toothbrush generally results in the neighborhood of 300 strokes per minute. 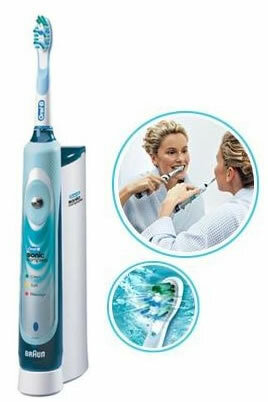 Non-sonic type electric toothbrushes typically generate somewhere between 2,500 and 7,500 brush strokes per minute. Sonic toothbrushes are capable of producing more than 30,000 brush strokes per minute, (The latest models of sonic toothbrushes can create more than 40,000 brush strokes per minute). 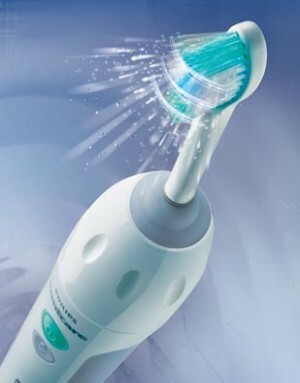 The cleaning action of Sonic toothbrushes is based on a technology that makes it possible for them to have a cleaning effect beyond where the tips of their bristles actually touch. This is a claim no other type of electric toothbrush design can so far make. 1) The primary method of cleaning that a sonic toothbrush can provide is that produced by the scrubbing action of its brush head's bristles on the surface of the teeth. Of course this method of cleaning teeth is not original. All toothbrushes, both electric and manual, rely on this same principle for removing dental plaque. 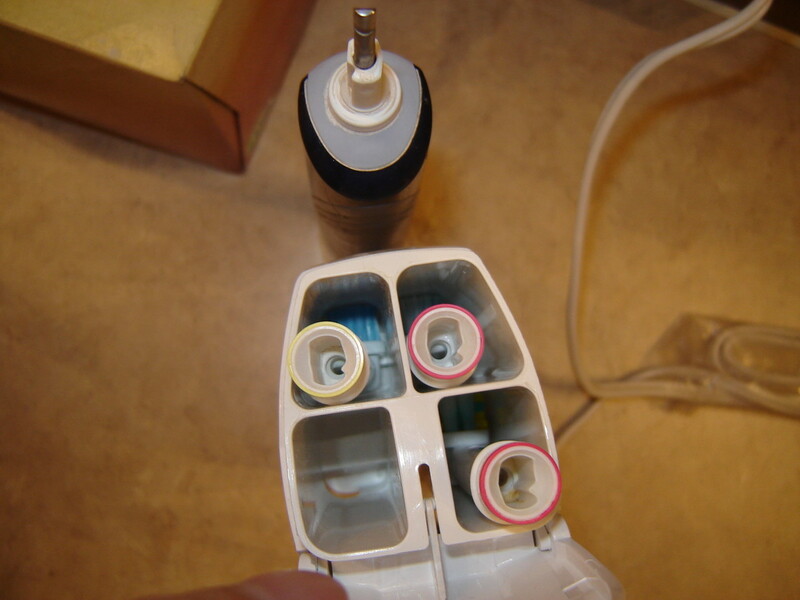 2) Sonicare toothbrushes are also capable of producing a secondary cleaning action. This cleaning action is founded on the intensely high speed at which the bristles of the sonic toothbrush vibrate. 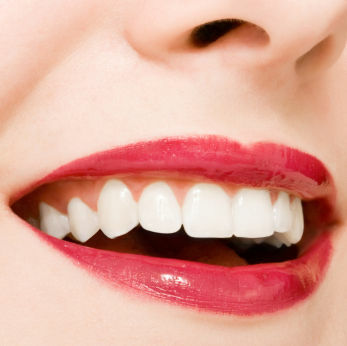 This vibratory action is able to impart energy to the fluids that surround teeth (such as saliva). The motion of these agitated fluids is capable of dislodging dental plaque, even beyond where the bristles of the toothbrush actually touch. Only a sonic toothbrush can make this claim. "The result is the creation of waves of pressure and shear forces in the liquids that surround your teeth, and also the creation of minute bubbles that are propelled forcefully against surfaces where plaque resides. The combination of these various fluid dynamics results in forces that are capable of dislodging dental plaque in those hard to reach areas such as between teeth and below the gum line. 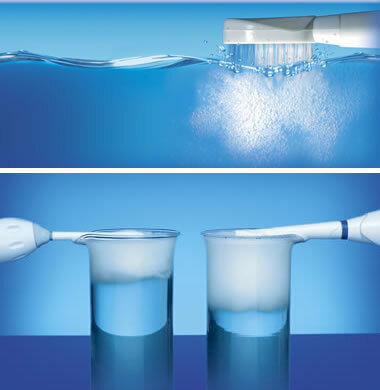 The cleaning effect of these fluid forces has been measured to occur at distances of up to 4 millimeters (slightly more than 1/8th of an inch) beyond where the bristles of your sonic toothbrush actually touch." I decided to go ahead and buy one of these, and although they are not cheap, (starting at about £70 for a decent one), I have been very impressed by the one I have bought. The first time I used it I was surprised at the odd sound it makes, not at all like the conventional toothbrush I was used to. The sensation of using it was different too, but I could feel it was far more powerful than my old electric toothbrush had been. The real proof of how much better it was came after I finished using it for the first time, and having gone through both the "clean" cycle and the "massage" cycle I spat the toothpaste residue into the sink, only to find it was totally red. I won't be too too graphic, suffice to say the Sonic toothbrush had clearly done a far more efficient job than my old toothbrush. Since then the bleeding gums have stopped, and true enough my teeth, mouth and gums feel incredibly clean each time I brush my teeth. I highly recommend these based on my own honest experience, and feel sure they are one of the best ways to avoid future dental bills from fillings, descales, extractions etc. Don't take my word for it, ask your dentist what he thinks of Sonic toothbrushes! A review of sonic toothbrush technology (as represented by the Sonicare toothbrush), both how it works and its effectiveness in removing dental plaque. I suggest you buy a Sonic Electric Toothbrush ASAP! 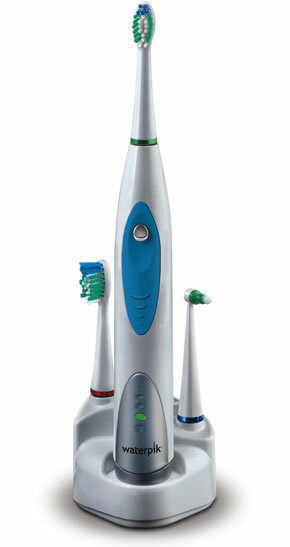 My Husband has one of the Philips Sonicare toothbrushes bestonlineschools. I have an Oral B. Both of us are very happy with them. Sorry LoseFast, you comment is SPAM so I can't allow it. I'm thinking much more seriously about getting one I can tell you that now, thanks. Great hub Misty! I've used an Oral B toothbrush for about 4 years now and I love how it has kept my teeth white. My dentist is always amazed because my teeth has remained white from when he bleached them 4 years ago... This is a great product. I am sure you will be fine DREAM ON, and I have every faith in these toothbrushes as I can really feel the difference already. 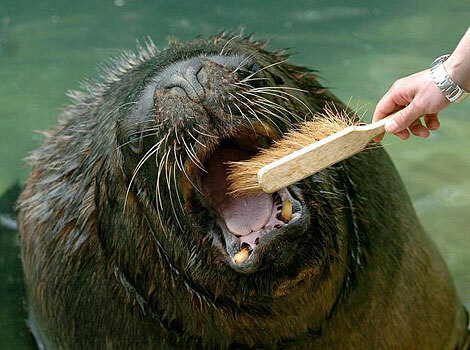 Another time to brush aahhhh that crazy good tingling feeling.I go back to the dentist in three months we shall see. Hi 21 Century Smoking, LOL, I wish there was such a thing. Hi DREAM ON, They certainly make all the difference and I will be interested to hear how you get on. 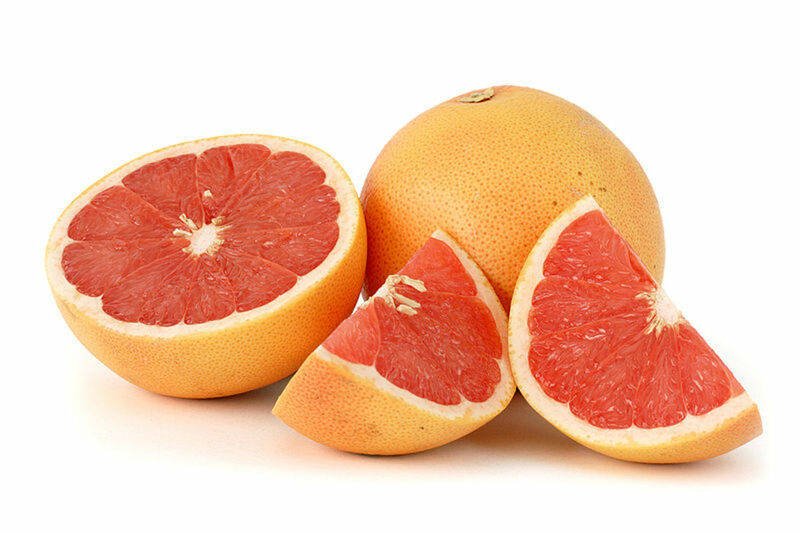 Thanks for posting here. I have also had problems with plaque in the past.The dentist says I might need a descaling.I have been using the sonic care toothbrush and I feel the difference.I hope the dentist see the difference. will let you know.Great helpful hub. hi, it's great news of electronic toothpaste.but where i can buy electronic toothpaste. Hi prettydarkhorse, for sure I would never recommend a product unless I truly believed in it personally. These Sonic brushes are great, and I can't rave about them enough right now. Cheers Paradise, they are fabulous aren't they, but the Sonic ones even knock spots of the normal electric ones. Which kind have you got ? Hi Bob, that's a new expression to me, must look it up. Thanks for the info and for the comment. I love my Sonic toothbrush I have to confess, and can't imagine going back to a normal one now unless it was just for an overnight stay somewhere. I have an electric toothbrush, on the advice of the dentist, and believe me, it does a better job. You're right on with this hub.